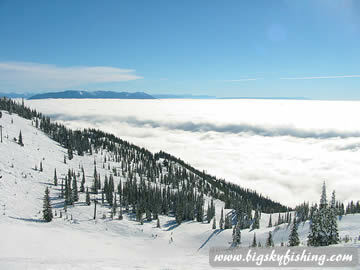 Whitefish Mountain (formerly called Big Mountain) is one of the premiere downhill ski areas in Montana, and is located just outside Whitefish, Montana. 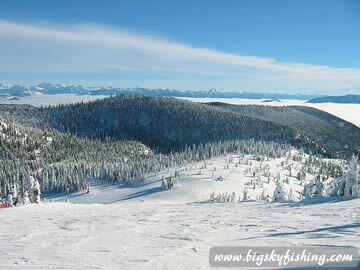 Whitefish Mountain has excellent tree skiing (the best in the state, in fact), a huge variety of terrain and gorgeous views when the weather is nice. 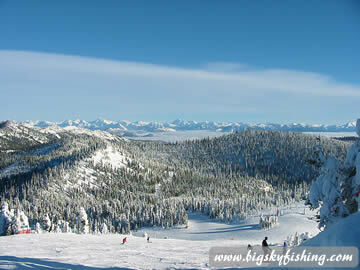 On the down side, lift tickets have become increasingly expensive and the resort can have some lift lines on the main lift in the Village are on weekends and holidays. 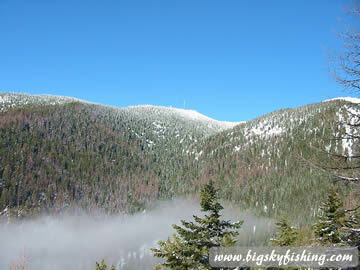 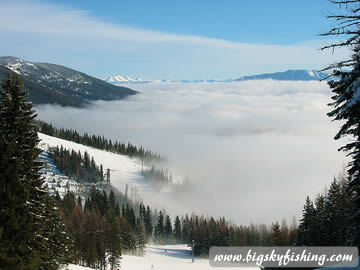 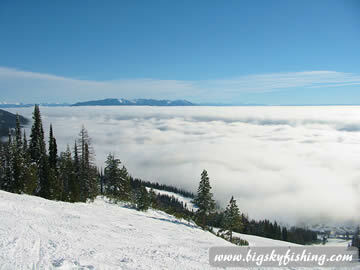 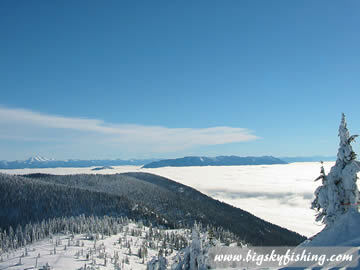 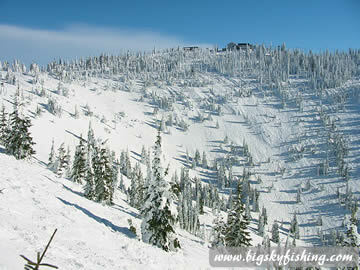 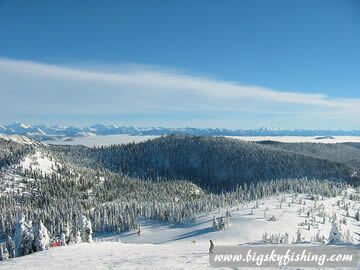 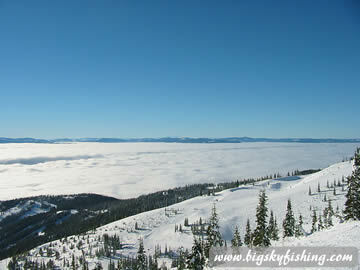 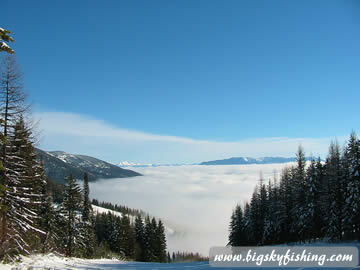 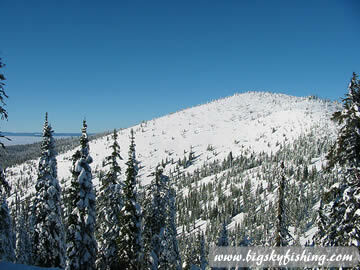 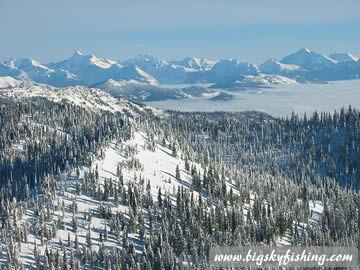 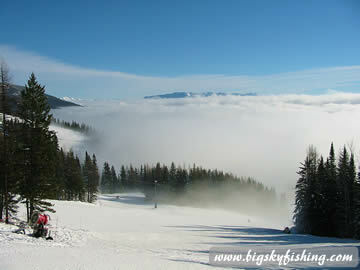 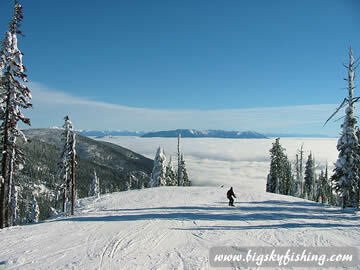 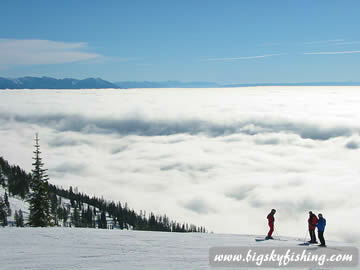 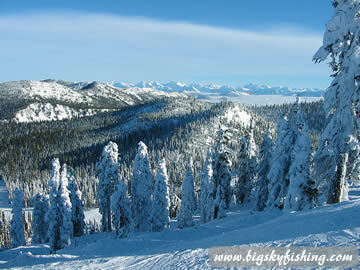 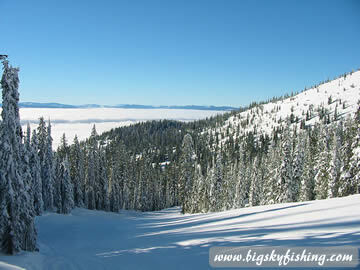 More information about Whitefish Mountain Ski Resort. 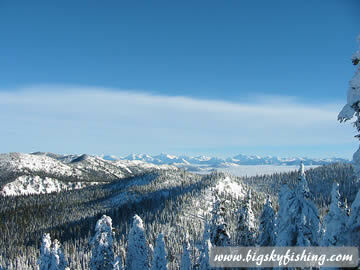 Click on thumbnails for larger images and for captions about each photo. 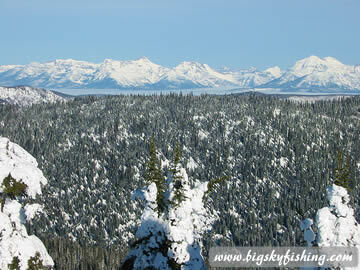 If you would like to use one or more of these photos for your own website, read the photo use policy to learn how you can use the photos from Big Sky Fishing.Com legally and for free! 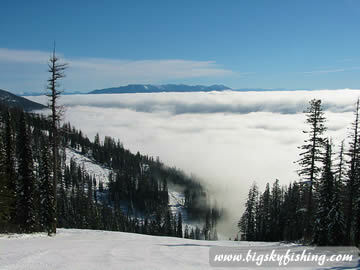 Click to view other articles in the Montana skiing guide series.